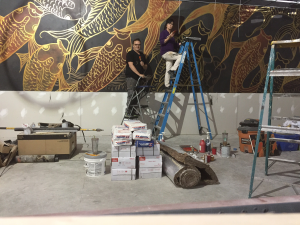 Markus and Leslie Lewis of Chelmsford have been commissioned to execute at least three murals, including some sculptural work, at the soon to open Nobo Restaurant. 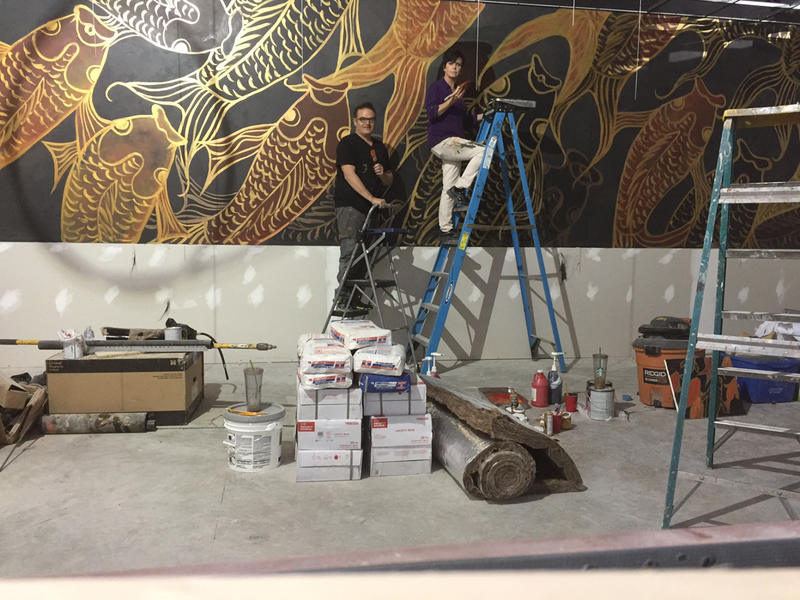 Nobo, at the newly redesigned Town Center plaza on Boston Road in Chelmsford, will feature Japanese and Asian Fusion Cuisine. Nobo is slated to open this winter.